Six Exciting Slot Machines With Sunning Graphics!!! 'Ace Hot Santa Girl Christmas Party Night Casino Slot Machines'- Game Has Fun & Exciting Slot Machines. 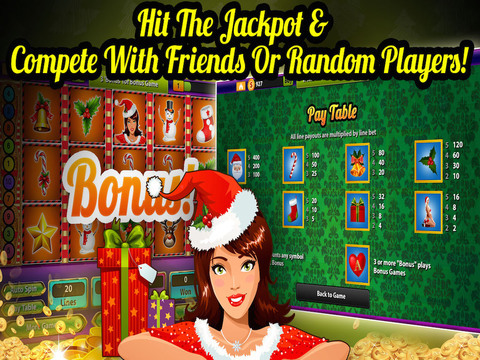 * Spin With Exciting Slot Machines & Unlock More. * With More Free Games! * Fortune Wheel To Hunt Bonus! Good Luck For Christmas Vacation Gold Rush.